Smartphones in this modern age is vast when it comes to improving. But they have one important feature people tend to overlook: they all make phone calls. 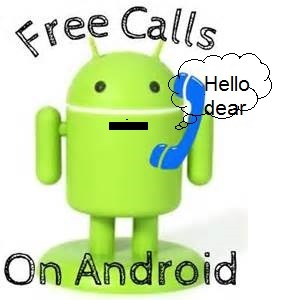 Now, thanks to various free apps, even this capability has been upgraded as you can now make free phone calls from your phone even if you're abroad. Many of the messaging apps we use on Android devices and iOS offer the ability to make audio calls to anywhere in the world without incurring a cost. This is because the conversations take place via Wi-Fi rather than the traditional phone system. If you've ever used Facetime or Skype then you'll know how video calls can be free, well it's exactly the same statistic with audio. The advantage of this method is that on most apps you're ringing the person rather than their phone number, so the call could also come through on their tablet or PC, depending where they are logged in at the time. This means you're almost certain to reach them even if they've left their phone somewhere else. so we this guides you will achieve this on some of the most popular platforms. 2. Tap the phone icon at the top of the screen and you can begin to TALK. 1. Download the app from the relevant store or google play store. Skype is a service that you traditionally needed to sign up to, but since Microsoft purchased it this has begun to change. If you haven't yet created an account you might find that Windows 10 has done it for you by linking your Microsoft account. Reports are mixed on this so be sure to check before you begin. Just like all the other apps on this list you and the person you're calling need to be on Wi-Fi and have the app installed. 2.Open Skype and then tap the contact icon (the one in the middle) at the top of the screen. Here you'll see the people that its possible to call. Some will be displayed with blue circles and their phone numbers under their name. These are users in your contacts that don't yet have Skype. You can invite them by tapping the invite icon option to the right of their names and then sending them a link on the following screen. When you've found another Skype user you want to call tap on their name and you'll be taken to their profile. 3.If you've had text conversations with them before then these will be shown on the screen. At the top of the page you'll see the traditional video and audio call icons. Tapping the audio opens up two options - Skype call and Mobile. The first is free and connects you to the person via the app rather than the phone line. Skype does offer you the ability to call landlines and mobiles for non-Skype users but this is a paid service. Tap the Skype Call option and the phone should start ringing at the other end. Facebook is an app that the vast majority of people have installed on their phones. While this might be the thing of nightmares for privacy enthusiasts it has upsides when it comes to free calls. A little while back Facebook introduced a call feature into its Messenger app which allows you to talk to friends who also use the platform. It doesn't matter where they are in the world, which type of phone they use, or its provider, the only requirements are that Messenger is installed and that both phones are connected to WiFi. 1.open up the Messenger app and tap the telephone receiver shaped icon on the bottom row. You'll now see a list of the people in your Facebook contacts who have the Messenger app installed. Beside their names are two icons - a phone and a video camera - each of which represent the type of call you wish to make. Those with a green dot next to the phone icon are currently online, but you can try calling anyone on the list as the app will become active when it detects an incoming call. Tapping the phone symbol will begin a free voice call with your contact. Apple's FaceTime app is a little different to the others on this list as it only works on Apple products such as the iPhone, iPad, and Mac. It comes preinstalled on all iPhones and is simple to use. Just open the app, select the + symbol in the top right hand corner, choose the person you want to call, then tap the phone icon to begin the conversation. Facebook Messenger the Google Hangouts app is a regular favourite for free calls. Android users will often find the app preinstalled on their phones, but if not it's free to download from the Google Play Store. Those of an iPhone persuasion can also use the app, which again is free in the App Store. 1. Open the app and then select the contact to whom you wish to speak. You can either tap a previous conversation you've had with them, or tap the plus symbol in the green circle found in the bottom right corner of the screen, choose New Conversation, and then search for their details. The recipient will need to have Google Hangouts installed on their phone, but this will be obvious as they won't appear in your list if they don't, and you'll both also need to be connected to Wi-Fi. with them. At the top of the screen you'll see options for a video call or an audio call. Tap the latter and Hangouts will begin the free call. There you go, with this app listed above you can always keep up with family and friends all over the world. Now there's no excuse.